Lightology, the largest online retailer of contemporary lighting is offering an energy saving giveaway to kick off 2012! We’re betting our design-minded friends out there have a few tips and tricks on how to contribute to the energy-efficient movement, even if it is as simple as changing a light bulb! 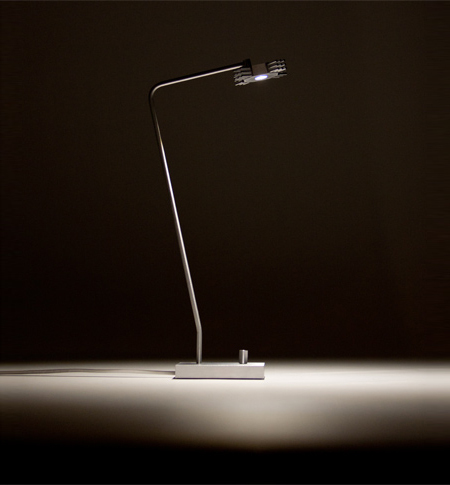 When you share your energy-saving tip/trick on Lightology’s Facebook or Twitter pages, you will automatically be entered to win one of the GREENEST tickets in town: A Sero Desk Lamp from Cerno Lighting! The Sero uses only 6.3 watts and is fully dimmable! Cerno, a lighting manufacturer that ONLY uses LED technology, has received praise and recognition for its well-designed LED table lamps, pendants, floor lamps and wall sconces. 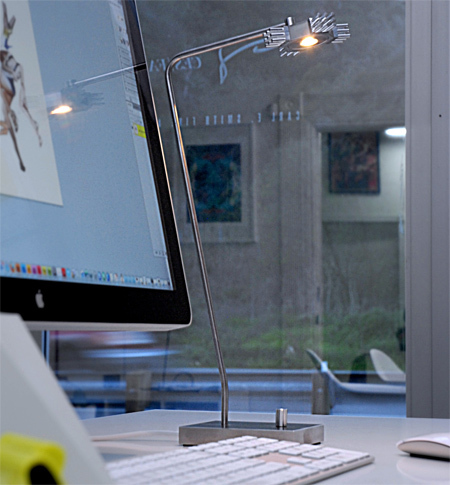 The Sero LED Desk Lamp is slender and clean, using only 6.3 watts with a High CRI of 82 and a 3000K color temperature, the same as a standard halogen bulb. To enter, post your easy idea on how to save energy in your home on the Lightology Facebook Wall or send us a tweet to @lightology! All original ideas will count as 1 entry, and the winner will be randomly selected on February 1, 2012.